We recommend that you pinch Alyssum Lavender Stream once 10 days after transplanting and roots are well established. Alyssum Lavender Stream are susceptible to fungal growth when their growing environment is too wet. Watch for botrytis, leaf spots, stem blights, and root rots while the days are short. These problems are usually associated with oversaturation of the soil. You can prevent them by allowing the plant to dry out between waterings, allowing for good airflow in your greenhouse, and spacing to allow the sun to penetrate to the soil level. The most common chemicals used to treat fungal infections are Medallion and Banrot. Use them as a drench according to each label’s instructions. 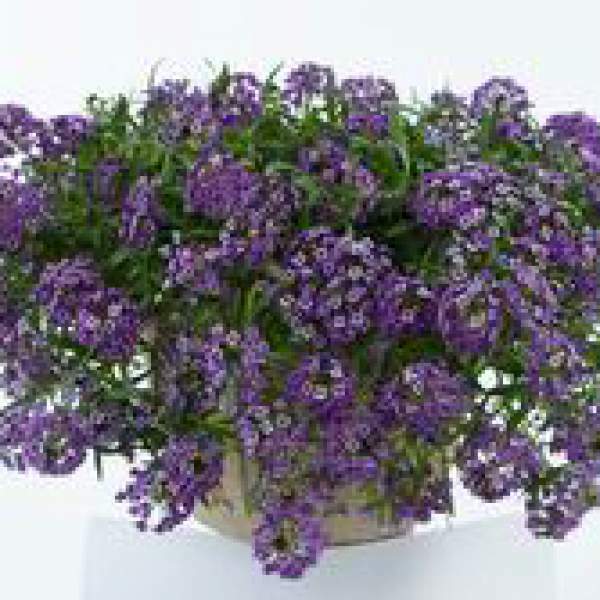 We recommend that you pinch Alyssum Lavender Stream once 10 days after transplanting and roots are well established. Place in full to partial sun for proper growth.